The way a government regulates the electronic signature in their country obviously has a great impact on its economic policy. If the regulation is very strict, business activity can become stagnant. If it is very weak, security can be compromised, and also affect user confidence. 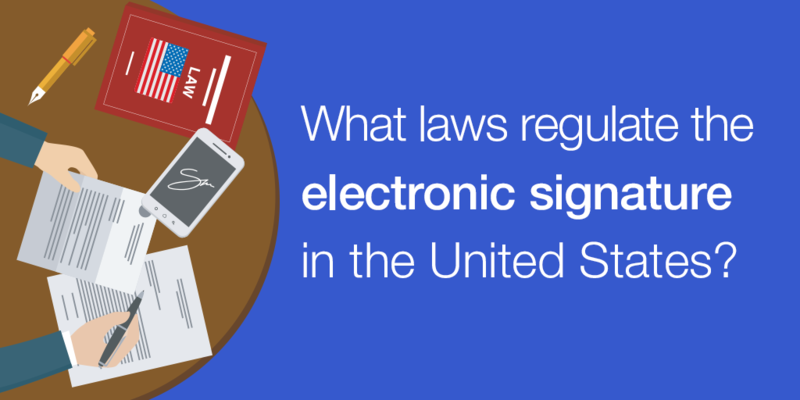 In this post we will explain the laws that regulate the electronic signature in the leading country in electronic commerce, the United States. Specifically, we will talk about the two laws that establish requirements regarding the electronic signature: UETA Act and E-Sign Act. The Uniform Electronic Transactions Act, more commonly known as the UETA, dates back to 1999 and only acquires authority through the enactment of state legislators. Its legitimacy therefore depends on the States. 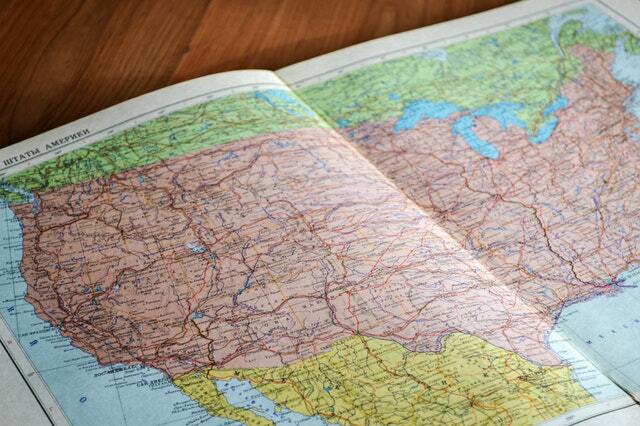 Today, this law has been enacted by 47 states and is applied to various territories in the United States. Since the responsibility to legislate matters related to trade falls on the different States, the federal government can not intervene. However, the formalities of interstate commerce require a uniform response from state legislatures. And here is where the E-Sign Act comes into play. The Electronic Signatures in Global and National Commerce Act, or E-Sign Act, was approved in 2000 at the federal level by President Bill Clinton. “Contracts established on the Internet will now have the same legal force as the equivalent contracts on paper,” stated the President when he signed the legal text. The goal of this law was to extend the regulation of the electronic signature beyond the transactions within the different states, including those that involve more than one territory. Generalizing, it should be noted that although both of these texts overlap - fundamentally since the UETA Act directly inspired the E-Sign Act - , this second law is considered more exhaustive and presents some additional consideration to keep in mind. The laws in the United States do not distinguish different types of electronic signatures according to their level of security. The European law does. What the UETA Act and the E-Sign Act share is the starting point or precept from which they regulate the electronic signature. The intention of both laws is to clearly establish that an electronic signature has the same legal validity as one on paper, for all effects. Their texts literally state that a contract or signature “will not be denied their effect, validity and legal enforceability for the fact of being in electronic format”. While several of their sections outline what an electronic signature should consist of and what requisites it should comply, it is a general framework - lax, and open to interpretation. However, it is established that a signature will only be valid “if the signer has the intention to sign”. Andit is rigorously established that this validity will also depend on the existence of an associated registry that reflects the signature process. The eighth section of both laws additionally adds the obligation that the information on the signature is available for all parties involved in the transaction. Therefore, the electronic signature where the signer does not have the possibility to access it, store it, etc., is invalid. This brief analysis, which deals with the most relevant aspects of the UETA Act and the E-Sign Act, shows the main difference between the European regulation (Regulation eIDAS) and both laws of the United States. While the US laws do not distinguish between different types of electronic signatures, the European regulation does establish three different types of electronic signatures: simple, advanced and qualified. Simple electronic signature: it does not allow to identify the signer in a unique way. Advanced electronic signature: it allows to identify the signer in a unique way. Qualified electronic signature: it allows to identify the signer in a unique way, but it is necessary to have a qualified electronic signature certificate and a qualified signature creation device. Due to this greater sophistication and the hierarchy of signatures according to their security levels, it is assumed that the electronic signatures according to the European regulation also comply with US laws,, as long as a federal law does not impose additional specific technical characteristics. >> Related post: Are eSignatures legal in Europe? and has legal validity in Europe and the United States. Our electronic signature software was conceived from the beginning to comply with the European Regulation eIDAS. Therefore, not only does it allow to request and make advanced electronic signatures within the EU framework, but our signatures also comply with the requirements established by the United States laws, UETA Act and the E-Sign Act. In our case, the existence of the audit trail that contains a list of electronic evidences of the signature process - email addresses of the requester and signer, geolocation data on the place of the signature, information on the device from which the signature was made, IP address, etc. - acts as a registration of said signature process. At the same time, the requester and signer will receive a copy of the signed document at the end of each transaction, so both parties will always have access to said document and can store it in PDF format and print it, which is another requirement of the two USA laws. Therefore, whether your customers are in Europe or the United States, they can sign the documents or contracts that you send them with full legal validity in both regions. If you have’nt done so yet, we invite you to try Signaturit for free during 14 days. And in any case, we will be delighted to answer any questions that you may have regarding Signaturit’s legal coverage in any country.